PAYING IT FORWARD Our company cares about the comfort and support of every child. We are honored to support the The Michael Hoefflin Foundation for Children's Cancer with a percentage of each sale, and pillow donations as well for each child they help. We are also proud to support our local Police Activities League in their after school programs for youth. We appreciate all of our customers who enable us to participate in these wonderful organizations! Please see more detailed product information below under "From the Manufacturer." How is this different to other products available? 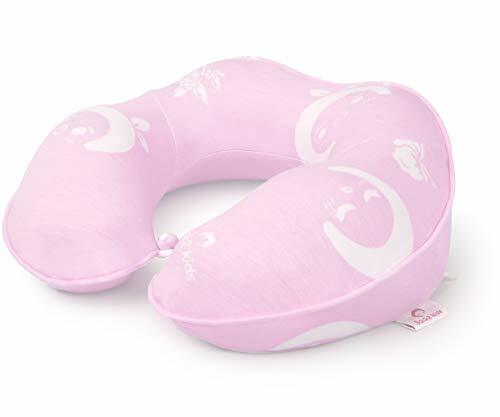 Our kids neck pillow are made of medium density memory foam that provides an initial comfort feel, as well as gently supports kids head so that kiddo don't get sore muscles in neck and shoulders after sitting for an extended period of time. Thoughtful design also includes the sides of the pillow bulge out like biceps holds baby head upright, a thinner back keeps head stays more or less in place, doesn't push your head too far forward. This foam is manufactured using Variable Pressure Foaming (VPF) technology, resulting in a better quality, more durable and greener product. Certified by ROHS and REACH, it is safe for children and pets. 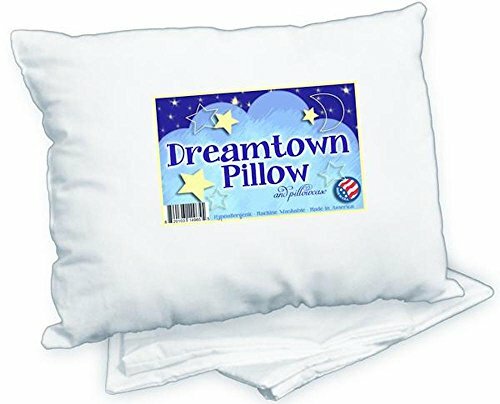 Another reason is that luxurious grass coral fiber pillowcase is very soft, breathable, heat quickly dissipates and constant coolness feel, great in hot weather or low air flow environments. Specifications: Cover Material: Cotton. Product size: 9.1 x 8.7 x 2.8 Inches. Weight: 0.6 lb. 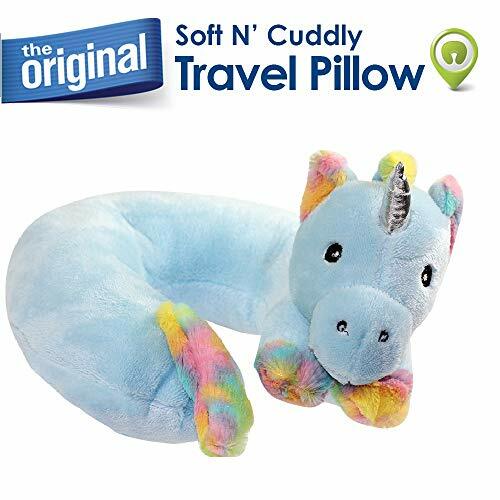 Package includes: 1 x Kid memory foam travel neck pillow. 1 x Carrying bag. ❤The perfect gift for the kids ❤Cotton production quality, soft, heat - resistant, durable. ❤Easy to clean and dry. ❤Reduce cervical spine pressure and prevent cervical spondylosis. 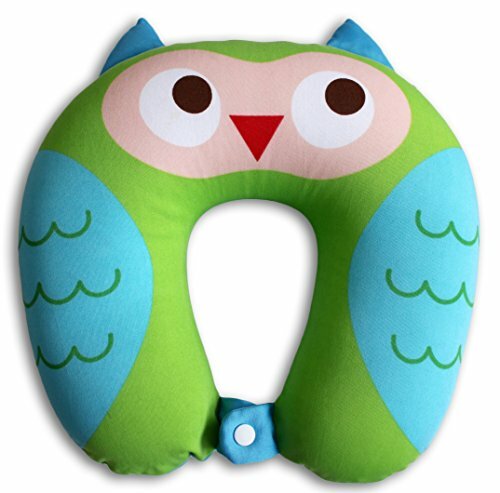 ❤Perfect kids travel pillow for car, airplane, train. ❤A nice cartoon style or a good gift for your child. 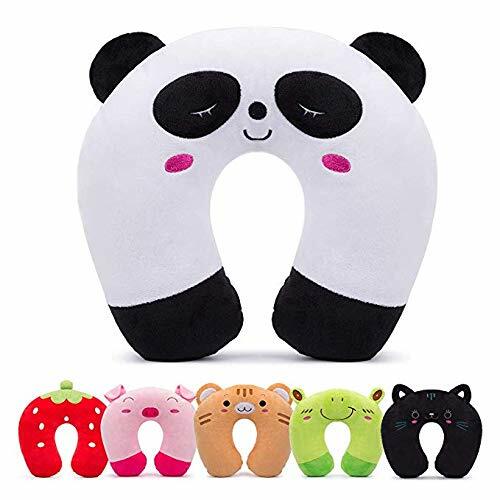 Style: cat / panda / tiger/ strawberry /frog / pig Size :(L) x (W) x (H) (env) 10.2 x11 x 1.97 in. 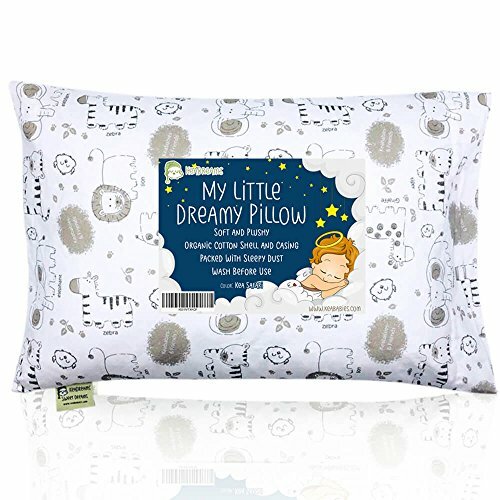 Want your toddler to sleep soundly in comfort? 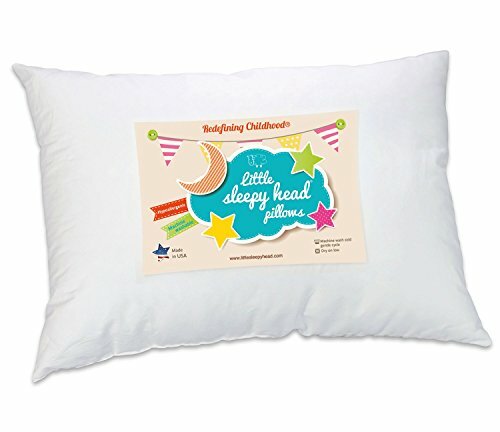 GET MY LITTLE NORTH STAR TODDLER PILLOW!The perfect solution to keeping your young one’s neck, head, & spine aligned while sleeping.What makes the MY LITTLE NORTH STAR PILLOW special?DESIGNED FOR TODDLERS – Perfect size for 2-5 yr oldsHYPOALLERGENIC – All cotton cover with Polyester-cluster fiber fillingCHEMICAL FREE - No mold or mildew resistance chemicals, no flame retardants, or dust-mite repellentsSPINE & NECK SUPPORT – Designed & recommended by chiropractorsNO PILLOWCASE NEEDED – Breathable, soft, & pliableUNISEX DESIGN – Boy or girl’s beds, cribs, daycare mats, etc.EASY TO CLEAN – Machine washable & dryableMADE IN THE USA – High quality is our focusREADY FOR GIFTING – Comes with designer craft paper band & labelFREE CARRY BAG INCLUDED:100% cotton eco-friendly drawstring bag Ideal for storing the pillow, clothes, or toysRECOMMENDED FOR AGES 2 to 5 YEARS OLD* Not for children under 24 monthsUSE ANYWHERE:Cribs Beds Daycare center Grandparents’ house Car Planes CampingSPECIFICATIONS:Appropriate for 2-5 yr olds Size 18”x13”x3.5” Weight 7 ozsSATISFACTION GUARANTEE! 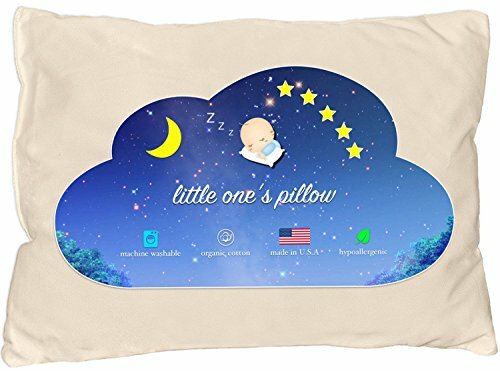 - RISK-FREE PURCHASE Click the “ADD TO CART” button & order the MY LITTLE NORTH STAR TODDLER PILLOW! 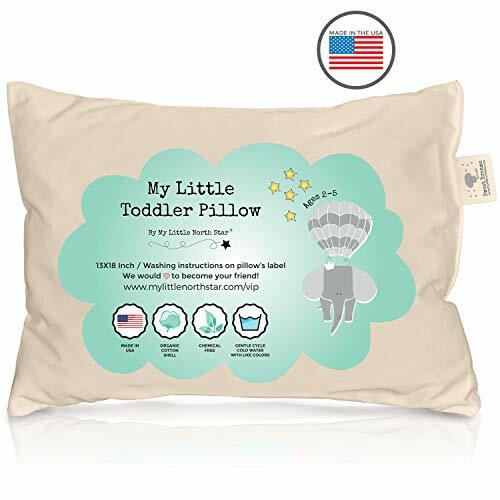 Help your toddler sleep like a baby. Your child's next best friend! 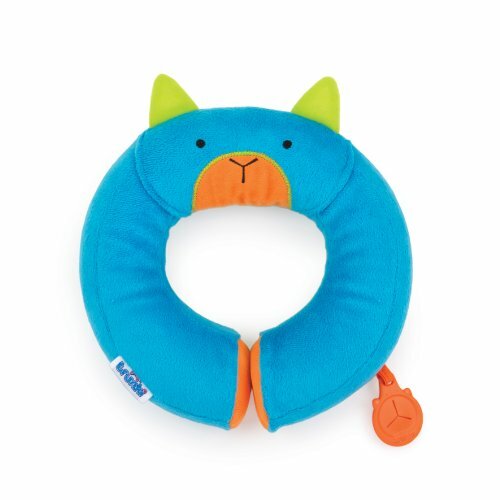 Our Clöudz Plush Animal Neck Pillows are super soft, cuddly, cute, fun and functional! Great for fun at home or on the go! 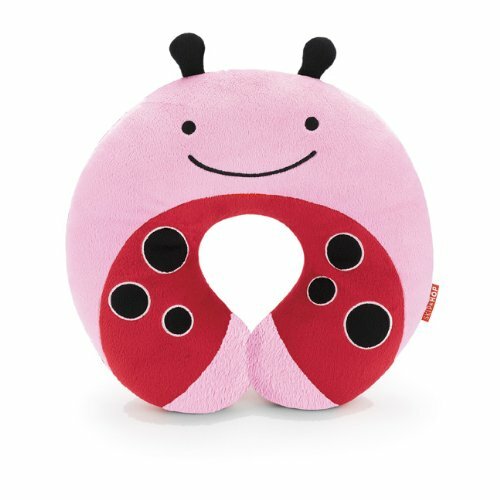 Kids love the snuggly support and companionship our pillows offer for trips in the car, on a plane, train, or bus. Filled with soft and supportive, premium polyester fiber. You'll see why our plush friends are a favorite of kids and moms everywhere - collect them all! Our pillow can be machine washed and tumbled dry on low. (Sized for Kids) Clöudz is the brand you can trust. We've been helping travelers around the world to have a more comfortable and positive travel experience for over 15 years. 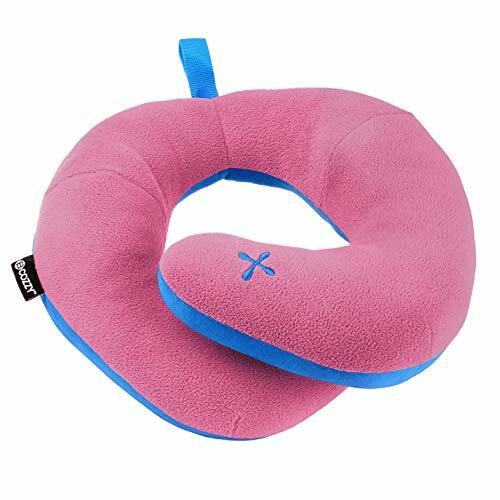 Luckyiren Car Seat Neck Relief and Head Support Band will solve one of mothers¡¯ worries, it offers great neck support and head support for your sleepy baby and kids. FEATURES: The product is designed very soft so as to make it safe for use. 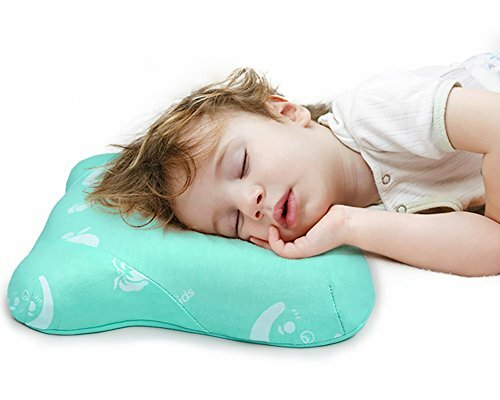 It offers great neck support and head support for your sleepy baby and kid. It easily saves the head from moving around and locks it in place without any discomfort. Lovely cartoon design - The Owl. Kids will love this design. Adjustable design, suitable for children of different ages. Children in use, Comfortable and Calm, A good assistant in journeys. Blue color, cute owl patterns, suitable for boys or girls. Dimension: 8.4 x 4 x 1.1 inches in total. How to use it: 1. Unclick the buckle and adjust the black elastic strap to fit the child's head when supported. 2. Place the padded fabric section on the child's head and thread the black straps around the infant carrier, car seat, or stroller's backing for support. 3. Reset the buckle and recheck how the headband rests on the child's head. PACKAGE CONTENT: 1 x Car Seat Head Support Belt After sale: No Risk, 100% Money Back Guarantee. If you have any question, please feel free to contact us. 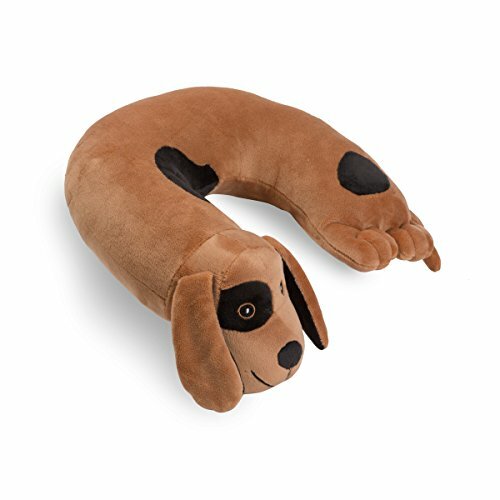 Kids animal-shaped travel pillow, brown dog, filled with 100% polyester fiber. 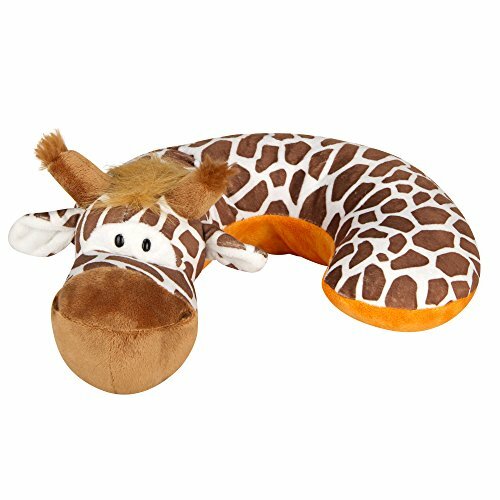 "Product Description Featuring the signature Animal Planet Giraffe in plush velour, this neck support is sized perfectly for young travelers. It is easy to tote along for family trips, or quick jaunts. A fun and great way to keep your child comfortable while traveling. 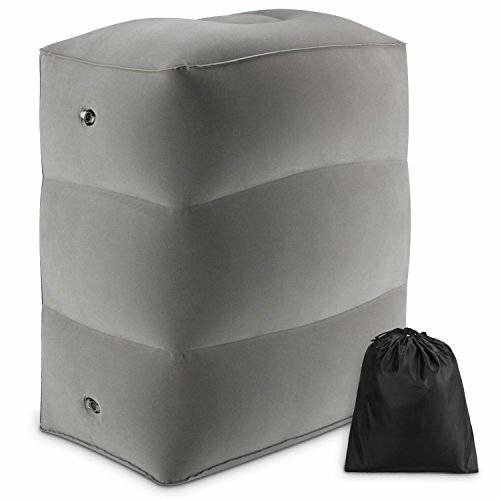 The Head Support Pillow is Machine Washable. 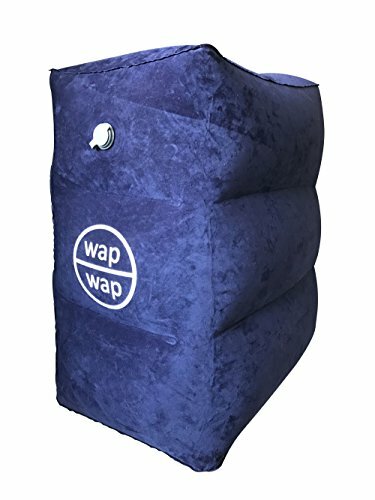 Shop Happily knowing we Strongly Stand Behind this Sleeping Bag with Our Exclusive 100% money back guarantee. If this Product Does Not 100% Satisfy Your Needs, Just Let us Know so we Can Fix It. From the Manufacturer Animal Planet Baby not only embraces the incredible bond between baby and animal, but ensures future generations the same opportunity by donating a portion of all purchases to R.O.A.R., Animal Planet's non-profit organization dedicated to helping make the world a better place for animals around the world. Great way to teach your children how special animals are, and what we need to do to protect endangered species." Bring the magic of Disney with you wherever you go with this Mickey mouse 3 piece travel set! each 3 piece set includes a plush 40 inch x 50 inch throw, 11 inch x 13 inch neck pillow and 7.5 inch x 3.5 inch eye Mask. 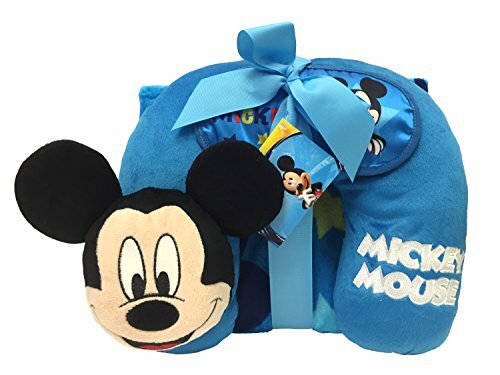 Any Mickey mouse fan will love going on vacation and bringing their favorite character along with them. 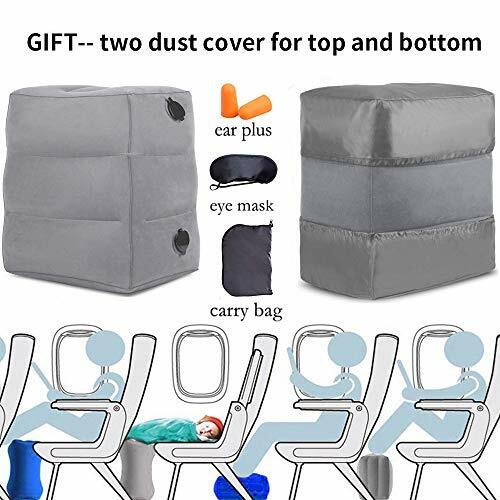 Throw is machine washable, neck pillow and eye Mask are best cleaned by using a damp cloth. 100Percent polyester. Imported. Tiny travelers rest easy with cozy Zoo pals. Featuring our signature Zoo animals in plush velour, our neckrest is sized perfectly for young travelers, easy to tote along for family trips or quick jaunts. Little ones will feel at home no matter the destination, with their own Zoo pal along for the ride.